Make a tomato sauce by frying the onion for a few minutes in plenty of olive oil. Add the passata, season and cook over a low heat for about 30 minutes. 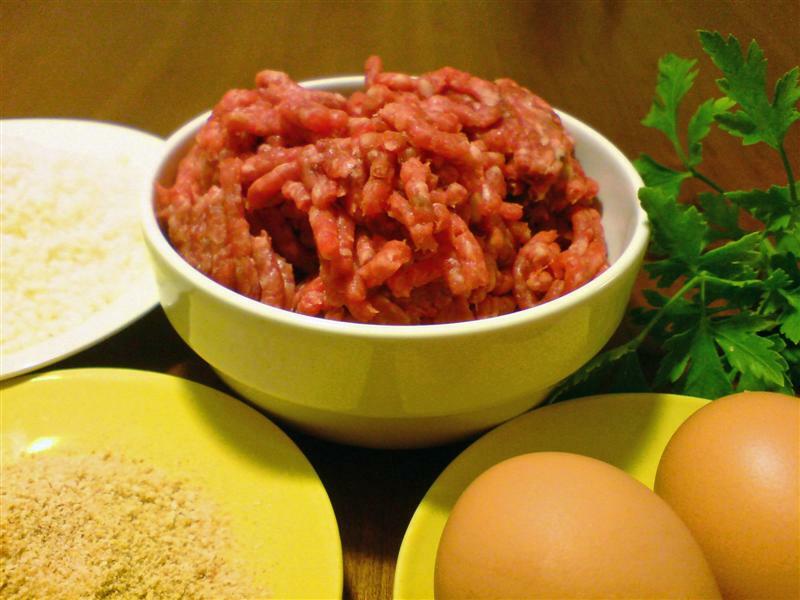 Make the meatballs by mixing all the ingredients together. Form into small balls about the size of a hazelnut. Fry in olive oil until well browned. Drain on kitchen paper. 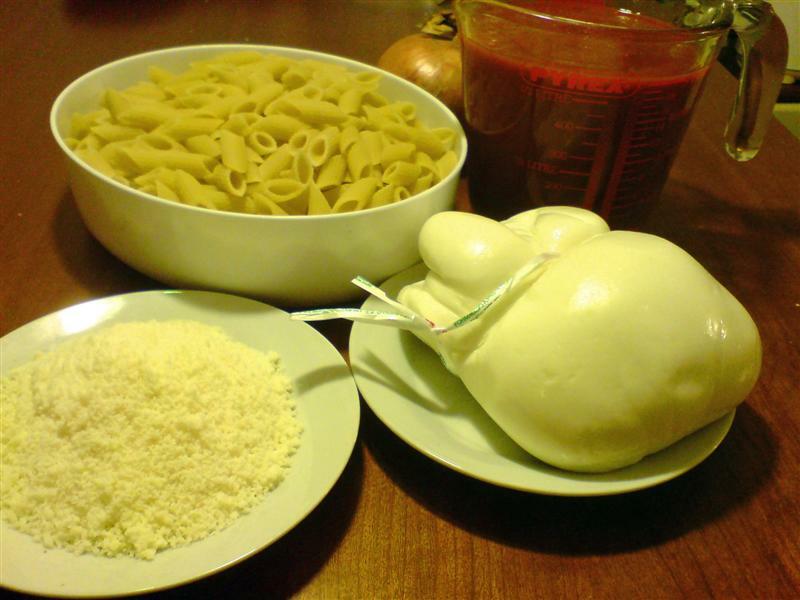 Boil the pasta until it is very al dente, two or three minutes less than the usual cooking time. 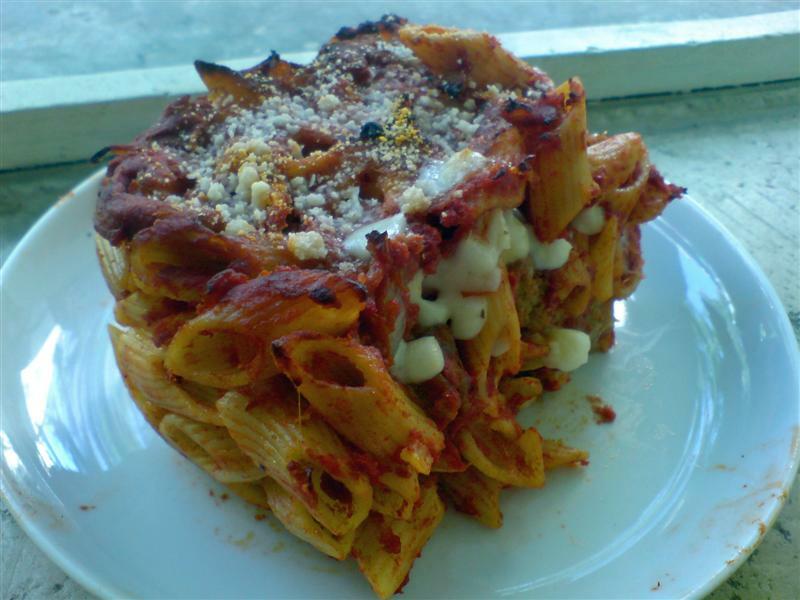 Dress with a couple of ladles of the tomato sauce and half the parmesan. 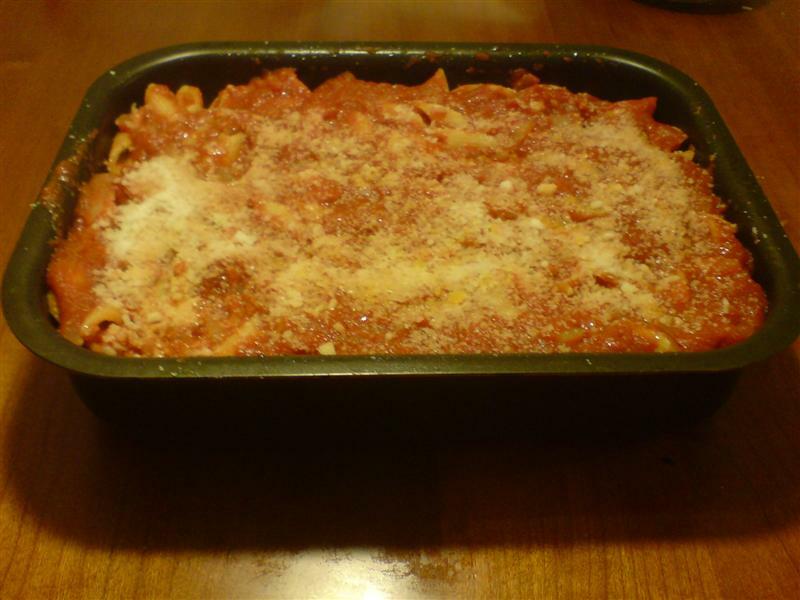 To assemble the dish take a high sided baking tray and put a layer of the pasta in the bottom. 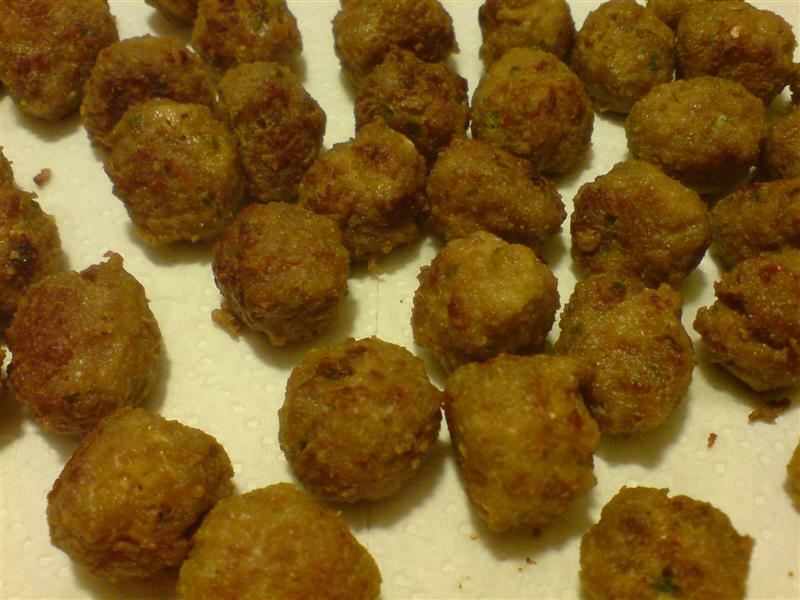 Cover with tomato sauce and sprinkle with meatballs, diced scamorza, and parmesan. Bake in a hot oven for 25 minutes. oil, half the basil, and the bread crumbs. 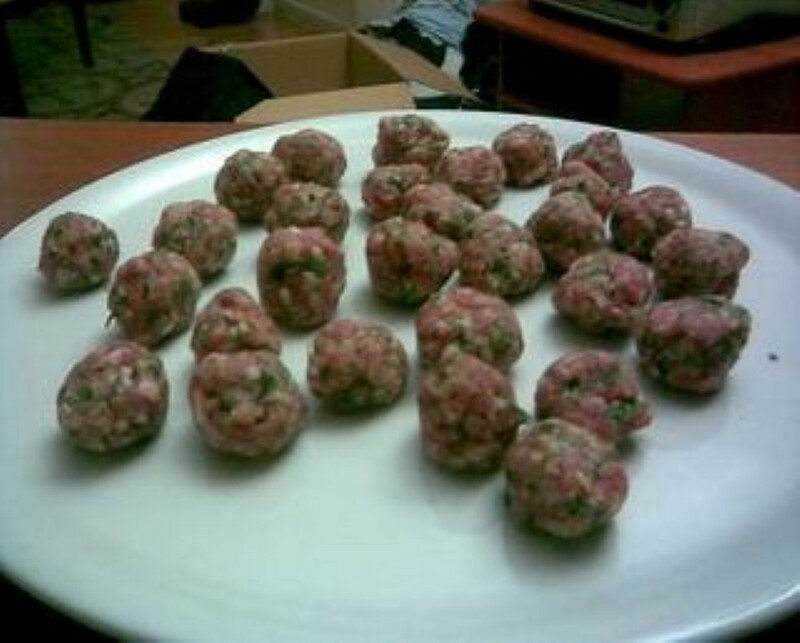 Make the meatballs by mixing all the ingredients and forming small balls with the mixture. Boil the rigatoni in salted water until cooked. Drain. Cut the aubergine into slices 1cm thick. Grill until soft. Grate the provola, slice the mozzarella, chop the ham. 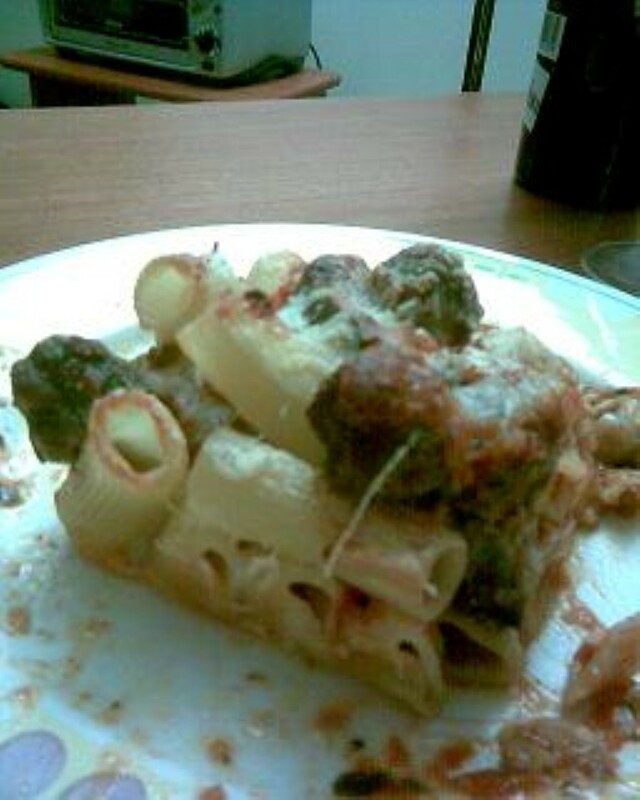 In a baking dish put a layer of rigatoni. Place in order a layer of aubergine and then a few meatballs. 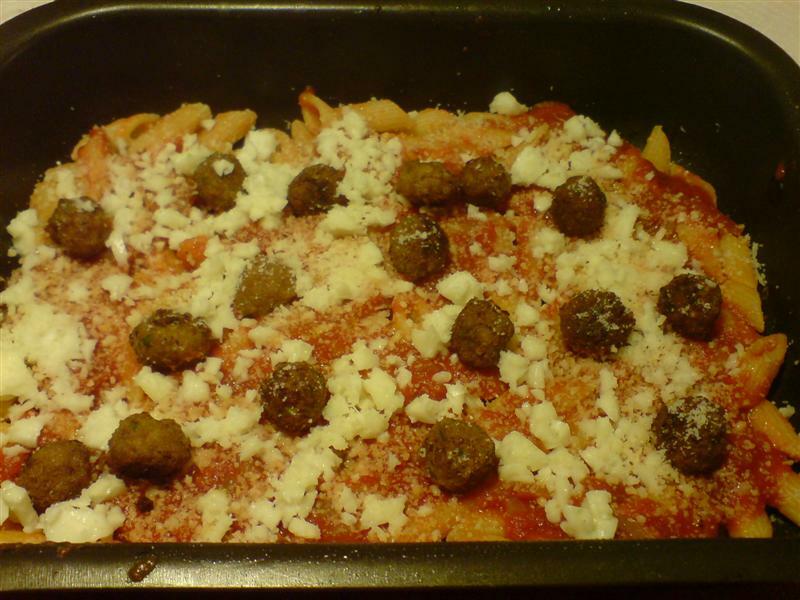 Cover with tomato sauce, cheeses and ham. Repeat until all the ingredients are used up. Scatter grated Parmesan over the surface. Bake for about 25-35 minutes until the mixture is bubbling and the top is golden.